The Home of New Life was founded in 1997 to host deprived children whose families were unable to provide the basic necessities for their children. The children come from a variety of different backgrounds and beliefs. Children in the West Bank have suffered physically and emotionally from the political and economic tensions in the area; many have not known a life without violent confrontation and conflict. Due to these factors, an increase in abuse, divorce, and dysfunctional families exists. One out of every five Palestinian children suffers from a lack of family care. An enormous need exists for the involvement of social, psychological and community services. The trauma of the occupation has required intense treatment for adequate care of children. Non-governmental organizations and charitable societies have played a dynamic role since the 1967 military occupation; however, a number of non-profit services fall short of meeting the increasing demands. As a result, more children are turning to drugs, smoking, soliciting, and consequently encountering molestation, abuse, and violence. In the town of Ramallah, there is a shortage of institutional child services. Private institutions and agencies provide limited services in health, education, recreation, and vocational training. These resources are day programs, which often cannot be attended by those who need them most due to their schooling. Proper care and treatment are scarcely available, if found at all. Unfortunately, we do not have a government-based welfare program, and the private welfare agencies offer very limited assistance for the extensive number of impoverished families and orphans. 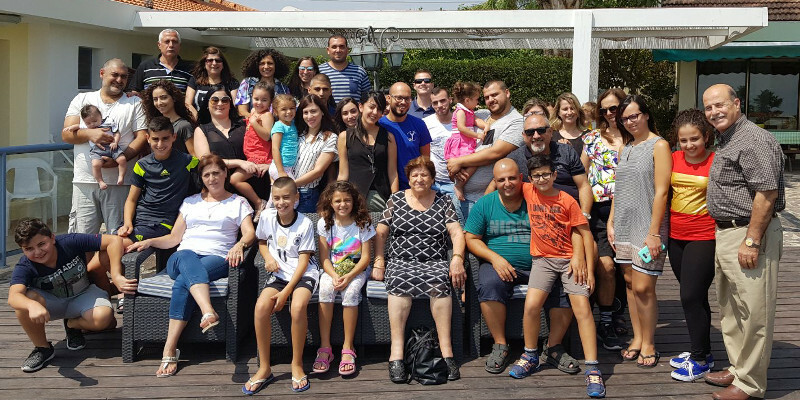 For the above reasons, the Home of New Life opened its doors for children from the West Bank and Gaza Strip. The Home provides a loving environment with a “sense of belonging” as well as caring for the spiritual, physical and emotional needs. The goal is to help the children grow in a normal environment full of love and support that will prepare each child to become an important and productive member of society. In the heart of the troubled West Bank is a light of hope for the people. 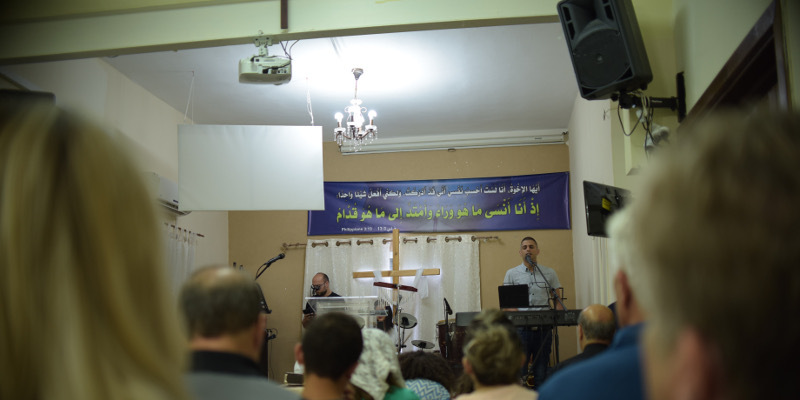 Ramallah Local Church has been the epicenter for spreading the Gospel message of salvation and hope in Ramallah since 1978, while maintaining a heart of service to the surrounding community. Many in the West Bank have suffered during the political turmoil due to the economic conditions and unemployment. The church has helped to provide food vouchers and food baskets to people with demonstrated financial needs. Our primary goal is to share Jesus Christ. This is done through a variety of activities for people of various ages. 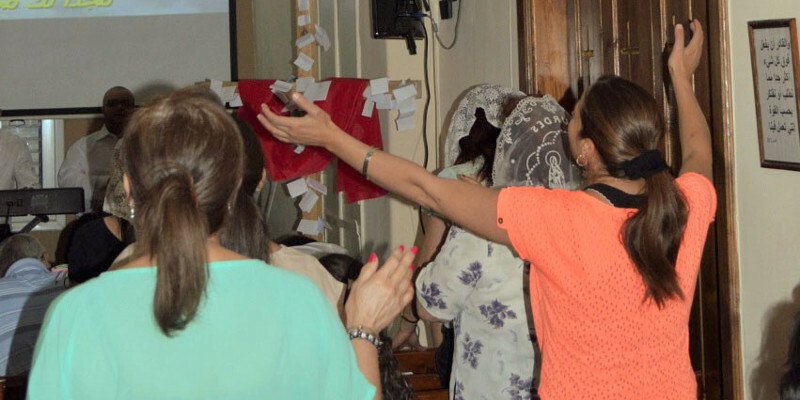 Whether through Sunday worship services, Bible study classes, youth meetings, children’s programs, ladies’ meetings, couples’ meetings or the numerous other activities and events held throughout the year, the church aims at delivering and practicing the core message of the gospel of Christ. At the end of the school year, we have a summer camp, a day program that runs for approximately four weeks operating in the church. This is a great time for ministry as well as outreach. Due to the lack of space, the church currently shares the building with the Home of New Life. We are currently praying and raising support to be able to obtain a facility that would more adequately meet the expanding needs of our congregation. Dr. Munir started the ministry in Ramla in 1980 through visitations and conducting home Bible studies. The church became a light for Jesus and has been known for its Evangelistic message. Discipleship classes were conducted. Strong local leadership was developed. From these leaders, other locations were opened for ministry. Today, the believers in Ramla are grateful to have a building that could accommodate them as a temporary church. However, the facility is too tight to house an appropriate sanctuary. You can be part of the expansion project of this church. We need your help to provide an adequate facility for worship and discipleship, allowing us to expand our outreach in the city of Ramla! The longer we minister in this area, the greater we sense the need for this ministry. Beyond simply contributing towards a better future through funds for social relief or education, we are constantly reminded that the presence of fervently worshipping believers is necessary to preserve the peace and well-being of a nation. Our Lord’s initial cry for Jerusalem on His way tot the cross still echoes in our area today, “Would that you, even you, had known on this day the things that make for peace…. (Luke 19: 42). The current cry of our hearts is that the people of this land today, be it Jews or Arabs, would know, not just “the things that make for peace!” but the “Prince of Peace” Himself. We pray to be among those who are preparing the way for our Lord’s imminent return.